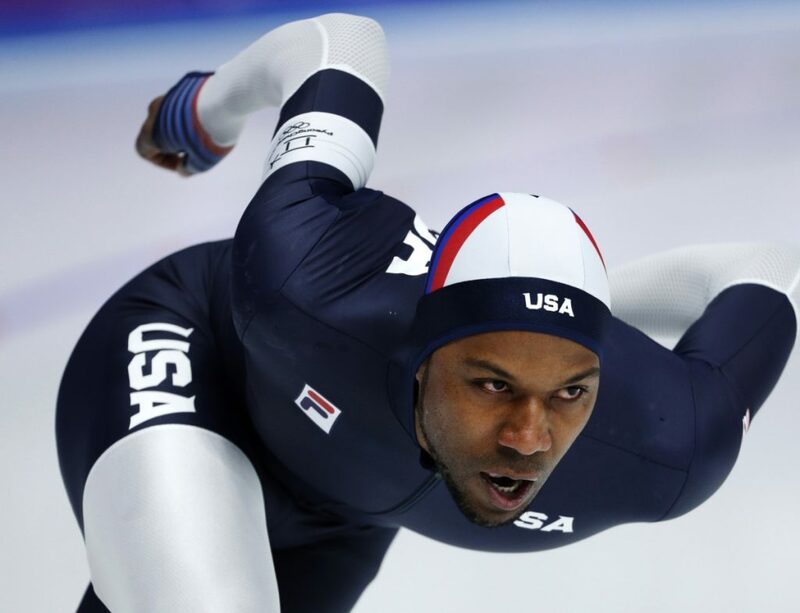 GANGNEUNG, South Korea — Shani Davis labored across the line, gulping for air, a shell of what he once was in a clapskate. At 35, Davis is very likely skating in his final Olympics. On Tuesday night, he finished 19th in his debut at PyeongChang Games, hardly looking like the guy who will surely go down as one of America’s greatest Winter Olympians. The first African-American to win an individual gold medal at the Winter Olympics. The only skater to claim back-to-back titles in the 1,000 meters. World records, world championships, World Cup titles – he’s pretty much done it all. And it wasn’t just the honors he claimed, the records he broke. It was the way he did it. That lean, 6-foot-2 frame brought a touch of silken elegance to a grueling, grunting sport, his hunched-over technique so smooth through the treacherous turns that he was always going a lot faster than it seemed. At this, his fifth Winter Games, Davis stirred up a hornet’s nest before the competition even began. After losing out on a coin flip to carry the U.S. flag in the opening ceremony – a career-capping honor he was fully deserving of and, by all accounts, really, really wanted – a tweet appeared on his official account blasting the tie-breaking protocol and implying that race might’ve been an issue. It wasn’t clear if Davis actually wrote the tweet. Maybe it was crafted by one of his handlers, or perhaps his outspoken mother, Cherie. But it was his account, verified and all, and Davis made no attempt to clear things up. Instead, he went into lockdown mode – blowing off the media when he walked through the mixed zone after practices and blocking a bunch of journalists (this one included) from seeing his future posts on Twitter. Davis finally stopped after the 1,500. He was in no mood to talk about the flag. It was a familiar exchange. Davis often had a standoffish relationship with the American media, which he clearly saw (and not without justification) as a bunch of speedskating-ignorant folks who showed up every four years to pester him about his amazing journey but were nowhere to be found the rest of the time. He always seemed more comfortable around the Dutch, who share a year-after-year passion for the sport that just can’t be found in America (and is on display again in PyeongChang, where they’ve won the first four events after a dominating performance at Sochi four years ago ). One can’t help but wonder if Davis’ single-minded approach – as admirable as it may be – squandered a golden chance to expand speedskating’s limited appeal in the U.S. Then again, there are two other African-American speedskaters on this year’s team, an unprecedented surge in diversity that was no doubt influenced by Davis’ determination to leave his mark on a mostly white sport. “He is certainly the elder statesman that we know has kind of been through everything,” said Matt Kooreman, the U.S. coach. Despite Davis’ lone-wolf approach, he’s been described as a trusted friend and valued mentor by his fellow skaters. Yes, he feuded with another American star, Chad Hedrick, at the 2006 Turin Olympics, infamously storming out of the interview room after they had claimed silver and bronze in the 1,500 meters. But there were no signs of discord when they skated together in Vancouver four years later. Hedrick, now retired, was among those who tweeted his support to Davis after the flag flap. Davis is more optimistic about his chances, though there’s nothing to suggest in his current form that he can contend for a medal. Actually, it looks like a potential Sochi do-over for Davis and all the U.S. skaters, who performed abysmally in Russia (not entirely their fault ) and haven’t finished higher than fifth yet in South Korea. With nothing worth talking about on the ice, another reporter brought up that inflammatory tweet. U.S. Speedskating spokesman Matt Whewell interrupted. “You can go,” he said to Davis. “I can go?” Davis said, leaping at the chance.